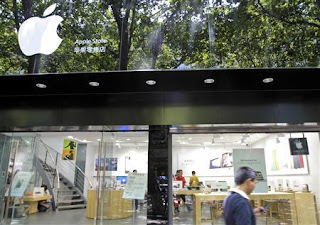 Local officials from Kunming, the capitol city of the province of Yunnan, China, have begun to crack down on the much-publicized “fake” apple stores that came to light last week. Two of the five stores have been shut down by the local industry and commerce administration. According to China Daily’s U.S. edition, the remaining 3 stores are awaiting a response from Apple as to whether or not they may continue operating. Apparently, so far the products sold in the store have not been alleged to be counterfeit products. But the store itself is unauthorized, thus selling gray marketing goods. This is interesting news since foreign businesses have been skeptical about China’s responsibility to intellectual property. Patent trolls, knockoff brands, and gray markets have hurt China’s IP reputation. But this response from the local government could be a sign things are headed in the right direction. Granted, the news comes from China Daily, and Chinese news sources aren’t known for objective reporting. But the fact that certain of the stores have been closed down means that China didn’t simply turn a blind eye to the situation, as it has done in the past. Perhaps this was due to the extensive news coverage of the fake Apple stores, whose own employees didn’t even know they weren’t working for Apple. However, it also appears that the reason the two stores were closed was the lack of a proper business license, not because of their intellectual property infringements. The remaining three stores (that have a business license) are awaiting a response from Apple. Currently Apple only has four authorized stores, in Beijing and Shanghai. Maybe Apple should be expanding its Chinese market more quickly.